At Blue Seal, we’re as passionate about animals as you are! 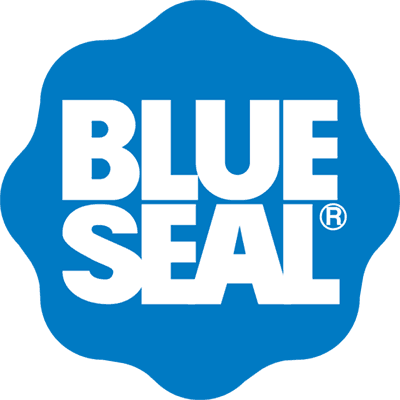 The Blue Seal passion for animals drives our focus in developing, manufacturing, and marketing superior nutritional products and services that improve animal performance, health, and wellbeing. We strive to exceed the expectations of discerning pet owners and animal enthusiasts; and we are committed to delivering sustainable value to our customers and stakeholders. Blue Seal Feeds began in 1868, when Henry K. Webster started a small grist mill in Lawrence, Massachusetts, that would grow into one of the largest feed manufacturing companies in the Northeast. In 1988, Blue Seal Feeds was acquired by a predecessor of Kent Corporation to expand its reach with animal feed products from the Midwest to the East Coast. In 2006, Blue Seal Feeds expanded its product line to include a focus on growing the By Nature® brand dog and cat food line. In 2008, Blue Seal Feeds acquired I. L. Richer, a major manufacturer and supplier of dairy feed products and services to the central and eastern New York dairy market. Also in 2008, Blue Seal Feeds acquired United Co-operative Farmers, a manufacturer and distributor of dairy, poultry and livestock feed in upper New England. Blue Seal provides unsurpassed nutritional expertise, high-quality manufacturing, efficient distribution, and superior service to ensure the success of its customers. In 2010, Blue Seal Feeds joined with Kent Feeds, Inc. to form the Kent Nutrition Group-Feed Division, focused on serving commercial livestock producers, equine and small pet owners, and country lifestyle enthusiasts. The Feed Division leverages the innovation, knowledge, and performance of the two formerly separate companies to deliver unsurpassed products and services to customers throughout the United States and beyond. Check out Blue Seal products at our Springfield location today! Our Kent products are primarily available throughout the Midwest, with some commercial products being sold in the East. Blue Seal products are only available throughout the Eastern U.S. at our stores, dealers, and retailers. Each brand is a respected leader in the markets it serves. Quality Matters, At Every Step. Our team of industry-leading nutritionists are always developing ways to enhance animal health at our 800-acre Product Development Center. We lead the way with nutrition technology that supports animal health and enhances performance. We do not just follow standards, we set them. All of our Kent and Blue Seal feeds are American made in award-winning plants certified by the American Feed Industry Association. We require our ingredient suppliers to embrace the same feed and food safety criteria as we do to ensure our rigorous quality standards are met. Additionally, we continually test our products under real-world conditions to ensure quality and consistency. Whether you are managing a large dairy operation, running a small farm, or feeding the family pet, your satisfaction matters. We believe every customer is part of our family, and we are here to help do what is right for you and your animals. Kent Corporation is the parent company to, and provides management and shared services for Grain Processing Corporation (GPC), Kent Nutrition Group, Inc. (KNG), Kent Precision Foods Group, Inc. (KPFG), and Kent Pet Group, Inc. (KPG). Grain Processing Corporation (www.grainprocessing.com) is a corn wet milling company. GPC’s products include starches and maltodextrins for functional food ingredients, nutraceutical and personal care markets, premium alcohol for beverage and industrial use, and ingredients for livestock and pet foods. Kent Nutrition Group(kentnutritiongroup.com) manufactures and sells finished animal nutrition for commercial producers, farming communities, and animal lovers. Kent Precision Foods Group (kentprecisionfoods.com) is a dry and liquid food manufacturing company that specializes in providing high quality products in the foodservice, healthcare, industrial and consumer markets. Kent Pet Group (kentpetgroup.com) manufactures and markets products that combine high-quality natural ingredients with a scientific approach to pet care, meeting the consumer’s demand for high-performance natural cat care options with their litter box solutions. Kent Corporation’s core expertise includes nutrition for both humans and animals; food grade manufacturing knowledge and facilities; and distribution and marketing into the ever changing world of food for people and animals. The story of this family of companies has its beginning in 1927, when G. A. Kent started manufacturing cattle feed in a little mill in Indianola, Iowa. His first product was Kent Baby Beef, the first cattle feed composed entirely of high-quality protein with no filler material. In 1936, Mr. Kent moved his feed enterprise to Muscatine, Iowa, and built a plant on the banks of the Mississippi River, to take advantage of the economical river transportation. Since that time, Kent Feeds has been a leader in the feed industry, introducing many feeds and feeding programs for thousands of Midwest livestock producers. His son, James H. Kent, assumed the leadership of the company after his father’s death in 1972. The current Chairman of Kent Feeds, Gage A. Kent is a grandson of the founder. In 1952 a modern feed manufacturing plant was built in Muscatine to meet increasing demand. As Kent Feeds continued its rapid growth and added new swine, beef, dairy, poultry, and specialty feeds, along with an animal care line, other Kent plants were constructed throughout the Midwest. In 1955, the first acres were purchased for Kent to open and operate a production development center. This allowed Kent Feeds to provide research-proven products to customers. In 1943, Mr. G. A. Kent along with Mr. S.G. Stein, a prominent Muscatine businessman, joined together to form Grain Processing Corporation. With government financing, the firm built a grain alcohol manufacturing plant to supply the synthetic rubber program of World War II. GPC leased the plant from the government with the option to purchase, and then purchased the plant in 1953. In 1988, Blue Seal Feeds was acquired to expand its reach for animal feed products from the Midwest to the East Coast. Blue Seal Feeds began in 1868, when Henry K. Webster started a small grist mill in Lawrence, Massachusetts, that would grow into one of the largest feed manufacturing companies in the Northeast. Blue Seal Feeds has continued to grow, and today consists of full line feed mills and company-owned farm and garden supply stores. In 2006, Blue Seal Feeds expanded their product line to include a focus on growing the dog and cat food line, By Nature® brand, into pet specialty stores beyond the Blue Seal Feeds retail stores and dealer distribution channels. In 2008, Blue Seal Feeds acquired I. L. Richer, a major manufacturer and supplier of dairy feed products and services to the central and eastern New York dairy market. Also in 2008, Blue Seal Feeds acquired United Foods Corporation, Inc., a manufacturer and distributor of dairy, poultry and livestock feed in upper New England. In 2010, Blue Seal Feeds joined with Kent Feeds, Inc. to form the Kent Nutrition Group Feed Division. Blue Seal Feed’s primary market area has been the Northeast and Mid-Atlantic United States. In the early days, the emphasis of the business was on supplying horse feed. In addition to horse feed, the product line has grown to include feeds for dairy cattle, beef cattle, sheep, goats, llamas, pigs, deer, dogs, cats, rabbits, wild birds, caged birds, poultry, herbivore zoo animals, and fish, as well as products for the lawn and garden. Blue Seal Feeds provided unsurpassed nutritional expertise, high quality manufacturing, efficient distribution, and superior customer value to ensure the success of their customers. Inc 2010, Kent Nutrition Group, Inc. combined Kent Feeds and Blue Seal Feeds into one organization focused on serving commercial livestock producers, equine, small pet owners, and lifestyle enthusiasts. In late 2016, Kent Nutrition Group acquired Deluxe Feeds of Sheldon, Iowa, a full service state-of-the-art feed mill in one of the top commercial animal producing regions in the Midwest. Kent Nutrition Group is focused on commercial animal, equine, and lifestyle customers. Through the collaboration and focus of all our commercial producers, farming communities, and animal lovers, Kent Nutrition Group, leveraging the innovation, knowledge, and performance of the past separate companies, delivers unsurpassed products and services to customers throughout the United States and beyond. Kent Nutrition Group goes to market using both the Blue Seal and Kent brands; both with a long history of respected quality and service.